Total duration: approx. 3 min. 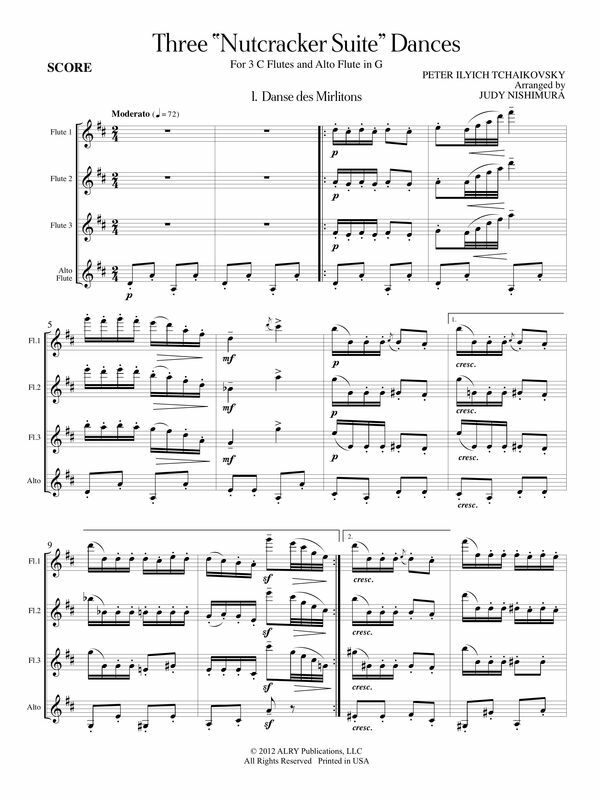 These are transcriptions of three dances from "The Nutcracker." Perfect for holiday programming. Of all the arrangements I've done, these are the most popular! The recording of "Trepak" is an excerpt from a CD recorded by the National Flute Choir (used by permission).